Never mind the niche market cars, there is one maker that has continuously produced a model that has dominated its market sector. 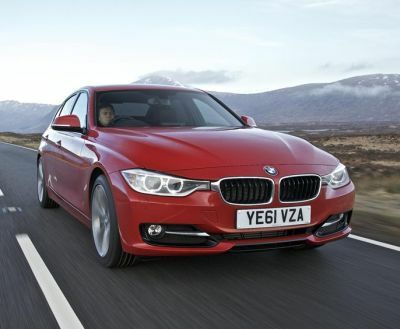 No prizes for guessing, it is the BMW 3 Series that can be had in saloon, coupe, tourer or drop head versions. For years BMW has stuck to its game plan the for 3 Series, evolving and introducing engineering improvements, logically advancing comfort, practicality and safety to a car range renowned for the superbly competent driving character and all round performance. The first 3 Series was introduced long before DNA was a commonly used phase but there is, in my mind’s eye evidence that if a car could have DNA then the 3 Series would have the strongest. This asset has made the 3 Series a top-selling model, initially described by motoring writers as a junior executive model, though nowadays with the trend towards more efficient smaller size premium brand cars I suspect that there’s a lot of senior executives who have chosen the model. I have driven a lot of successive 3 Series models over the years, one particular 328 version I liked so much that when it came off of BMW’s press fleet I tracked it down to the dealer and my sister-in-law bought it –13 years ago and it is still a much used and enjoyed car. I suspect she is one of many such owners that subscribe to the must have factor, whether new or not so new. Driving the latest 328i in Modern specification (and loaded with about £12,000 worth of extras) this feeling of being there before came through strongly despite the fact that every items has moved with the times. Smart, logical, beautifully finished and, above all, just begging to be driven as it should be with a 3 Series. OK, so the engine is a 2.0 litre turbo petrol unit rather than a 2.8 6-cylinder though who can argue when it delivers a refined 245 bhp and is recorded with a combined fuel consumption figure of 44.8 mpg in automatic transmission form. This can be exciting! That gearbox is selectable either by the stick shift or by paddle controls and has Sport and Economy mode options. As I expected this car means business and is claimed to be good for 155 mph and able to hit 62 mph (100 kph) from rest in 6.1 seconds…and remember this is a very comfortable 5-seat saloon. What is more, the majority of this performance can be achieved without even playing with the gearbox. "This is a real car with rear wheel drive" is a comment I have heard from countless 3 Series owners and when it comes to ride and handling I appreciate what they mean. All controls are so responsive without too much physical effort required though the driver experiences a feeling of being part of the car that is not always achieved with other contenders in the class. What is more I found that the combination of a finely honed fully independent suspension system and medium profile Goodyear run flat tyres (no spare with this one) provided such positive handling and a standard of ride refinement that I have actually found wanting in some very recently introduced rivals. This car’s suspension system reaches the extremes of its travel in a very smooth manner rather than indicating that it has hit the buffer stops. So the feel good factor for driver and passengers is clearly evident and that is before taking time to appreciate the attention to detail, the engine comes with an emission/fuel saving stop+start system, the clearly faced instrumentation has colour coded dial faces, the satellite navigation/mileage indicator is also provided in face-up on the windscreen form, the generous boot space (augmented by various rear seat folding permutations) is accessed by an auto opening facility, the powered memory adjustable front seats also have an adjustable thigh support and the interior stylists have come up with a porous wood trim that looks like well washed drift wood though after a while it grows on you! Alternative materials are available as usual. As for styling this latest generation BMW 3 Series has more dash, is easily recognisable by its twin kidney shaped front grilles but as usual the exterior body trim is restrained…as I would expect with a car brand and model that has long proved its case. That’s how aspirations are made. SOME RIVALS: Mercedes-Benz C-Class, Audi A4/5, Alfa Romeo Giulietta, Lexus IS, Mazda6, Peugeot 508, Citroen DS5, Jaguar XF.